I want to share thoughts about issues that often don’t get a whole lot of attention in formal training, the things we talk about in the hallway or the parking lot after the meeting. Of course these are my opinions and observations, not expressions of official policy. You may or may not share my opinions, but you’ll at least get something to think about! 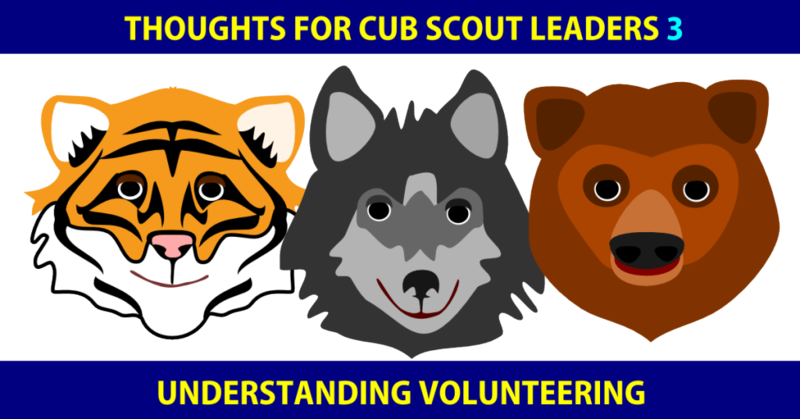 Cub Scouting is an “it takes a village”, sort of thing. We don’t have spectators; everybody is on the team, everyone has a role to play. We are all cooperating together to create this wonderful opportunity. Committed volunteers can get pretty cynical or self-righteous when they feel people are simply taking advantage of their good nature or have no appreciation for how incredibly hard they work. Not to lay a big guilt trip on anyone, but if you feel that way it is probably mostly our own fault. How do I know? I have felt that way, and it was mostly my fault. How are your toes? Can I keep going? “I Wear Lots of Hats” May Mean “I Don’t Have Limits”. 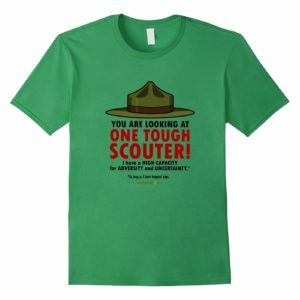 Scouting has many defined roles for volunteers; many ‘hats’ to wear. Some of us seem to think we should collect as many hats as possible. If I am stepping on your toes please understand I am not saying that all Scouters who wear several different hats are selfish, or self-aggrandizing. We are good-hearted people who, when one else will take on the role, pick up the hat. The wonderful things about people that inspires them to volunteer are usually exactly what causes them to take on too much. 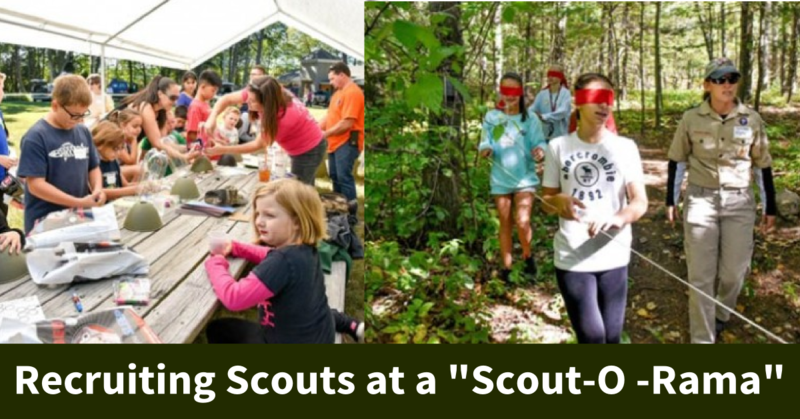 Volunteers wearing several hats is so common we think this is how Scouting is supposed to work, but it’s not. 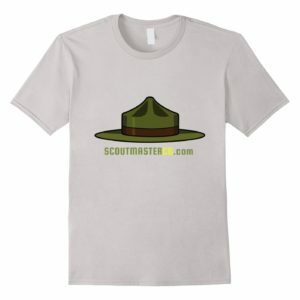 There are lots of roles, or hats, in Scouting because Scouting takes a lot of people! That’s the idea! 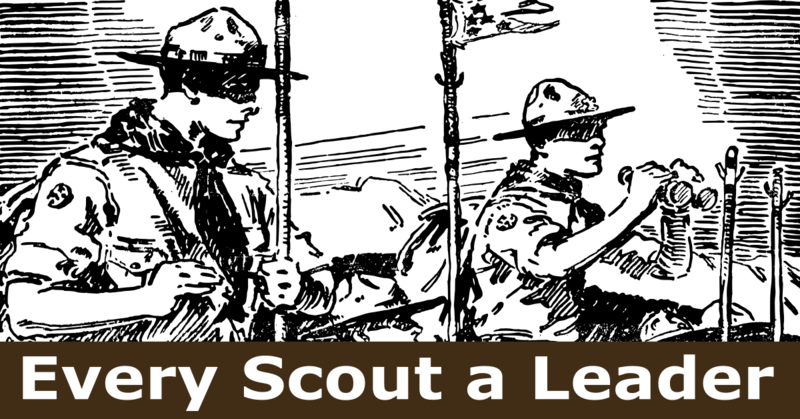 Scouting takes more than a few heroes. If you want to learn this the hard way, that’s fine, but take my word for it – when you put on the first hat you must set some limits. If you wear three or four hats people will try to hand you three or four more. If you volunteer without any limits it will not be long before you do nearly everything. Let’s repeat it with some italics! If you don’t establish limits you’ll find them eventually; but by then you’ll already be burnt out. How about one role; one “hat”? Sure, you can help out with things outside that role, but within limits. You are helping the person wearing the hat, not wearing the hat yourself. There are other limits you can adopt. 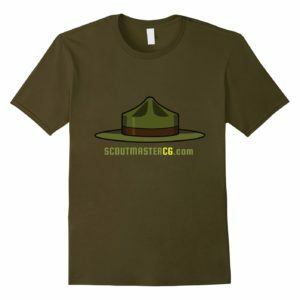 As a Cubmaster (and later on as a Scoutmaster) I didn’t touch any paperwork; that was a limit. No touching permission slips, rosters, advancement reports, newsletters, no paper. I mean literally touching papers. 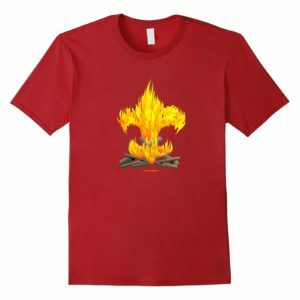 All of the things on the papers are taken care of by the pack (or troop) committee. I ultimately expanded that to digital manifestations of those papers too., happy to look at them, but someone else has to maintain them. If you take on a responsibility that belongs to someone else, no matter how small or insignificant it may seem, don’t ever expect you’ll be able to delegate it again. But, but ,but… I know, limits sound impossible. It seems like everybody wears more than one hat. There’s only one answer, (you won’t like it): if no one else will do it – leave it undone. But, but, but.. what if no one keeps the record and gets the badges? What if no one keeps track of our roster? We couldn’t find anyone willing to run the (fundraiser, banquet, den, activity)! If I don’t step in and fill the gap the Cubs will be disappointed! If they disappointed perhaps other people will notice and ask what happened. Tell them exactly what happened; nobody stepped up, so we couldn’t do it. If people are pretty sure you will pick up the hat and put it on, they will leave it on the table. If you stress out about the tablecloth colors at the Blue and Gold Banquet let me suggest you may have some issues. Welcome to the club! We have Jackets and everything! Most active, committed, volunteers will fall into the trap where they are sure that they are the only ones who will do anything the right way. Sound familiar? See my cool jacket? Been there. 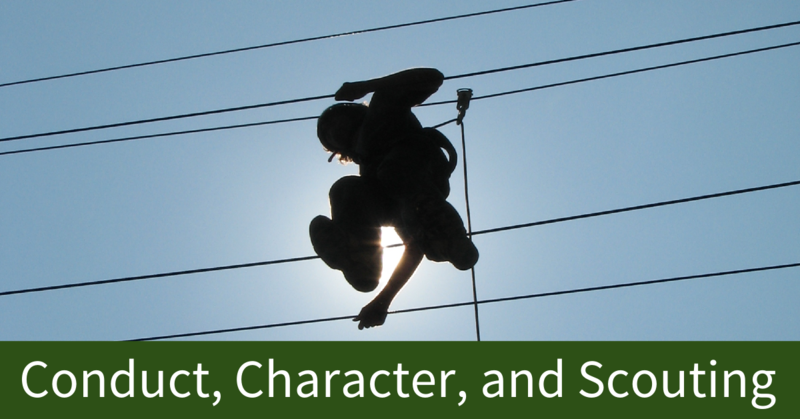 As you strive to build character in your Cubs, take a little time to help yourself. Step back, gain perspective, accept help (even imperfect help), and still say thanks when the tablecloths aren’t the right color. 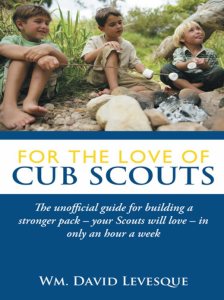 Look at how much fun your Cubs are having as they grow up. You can’t really control that can you? You can’t actually make that happen, right? It may be that this all isn’t as much about us getting everything just right as we thought! But, but, but… nobody cares as much about this as I do! Nobody will volunteer! I ask all the time! Ask for Help, Not Volunteers. 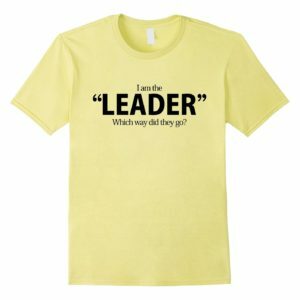 If you ask ten parents to be the new den leader one may say yes, but don’t be surprised if no one does. If you ask ten parents to run one den meeting, five will say yes. 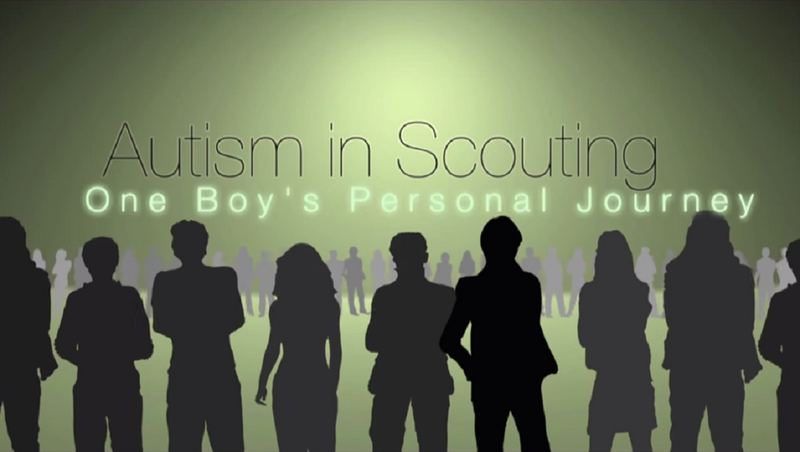 Ask for help with specific tasks, rather than filling roles. You’ll get more yeses than nos. As people warm up to the tasks they’ll become more interested in the role. That’s when you can suggest they’d be a great den leader, or treasurer or what have you. There’s a subtle (and sometimes not so subtle) resentment in the “us” (the people with the shirts) and “them” (the parents) attitude that can sour things for everyone. Yes, it’s frustrating that no one understands how much time you spend, how hard you work, and how thankless people can be. Every leader feels lonely and unappreciated at times, but we can get over it. Don’t allow resentment to color your attitude when you ask for help. People sense the resentment, and will run the other way. As we encourage everyone to be part of the team, we also need to understand that some simply can’t. Some parents seem oblivious, unsupportive, or lazy for any number of reasons that may not be obvious. What goes on inside anyone’s family is usually totally invisible to outsiders. We all tend to keep up a strong front. Few of us want to publicize family problems and challenges. Every family is at least a little dysfunctional, and some are dealing with huge problems. We can all grow in compassion and understanding for others, and this is a great opportunity! If some people don’t help it may mean they simply can’t, and we may never know why. I have found when I ask, I get help. 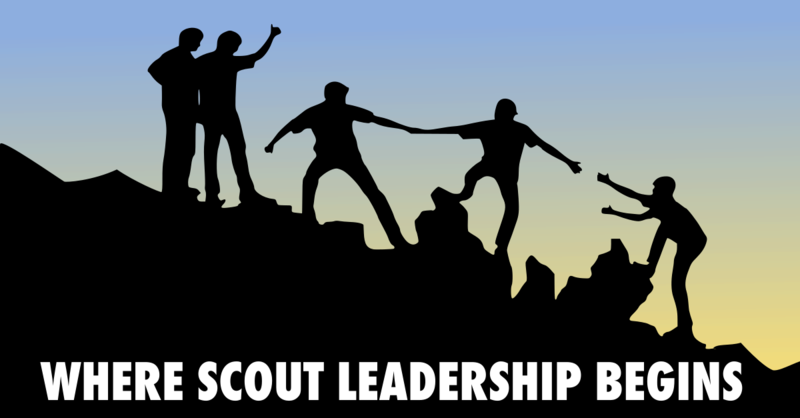 Most of us will even get a few spontaneous volunteers to take on a role like den leader or committee member. But if volunteer roles aren’t filled the proposition is simple; without anyone willing to take it on we can’t have it as a part of our program. If no one else will do it – leave it undone. It’s not because you can’t do it, it’s not because you are being selfish if you don’t (remember, you have some limits), it’s just a simple, matter-of -fact reality. Don’t try to make everyone feel guilty, don’t club them over the head, don’t get judgmental. You can guilt people into volunteering, but they will resent it. Have high expectations and ask for help and support in spirit of kindness and friendship; but don’t step in and take the responsibility on yourself. Once people realize you have limits, that the cavalry really isn’t coming, it becomes much more likely someone will be willing to raise their hand. If you decide to ride to the rescue, keep your saddle ready; because you’ve just joined the Cavalry. You’ll find that people have to be rescued all the time, and being a hero get’s old really fast. While this really is as simple as it sounds, it’s never easy. There’s a mile or so long gravel road that leads into our Scout camp. We are always filling in potholes and smoothing over ruts. Despite all our effort that road is never totally smooth. We can’t pave it over, we just understand it will always need attention. If someone complains the road is bumpy we tell them to slow down, hand them a shovel, and point them to the pile of gravel. Issues with volunteers are like that road, they’ve always been issues, and they will always continue to be issues we won’t ever completely fix, but that doesn’t mean we can’t smooth them out. Step one – take off some of those hats, have some limits, and let others step up. If someone wonders why things are so bumpy hand them a shovel. Another great round of helpful hints from Clark Greene!